Maaruig is a settlement on the shores of Loch Seaforth in North Harris. 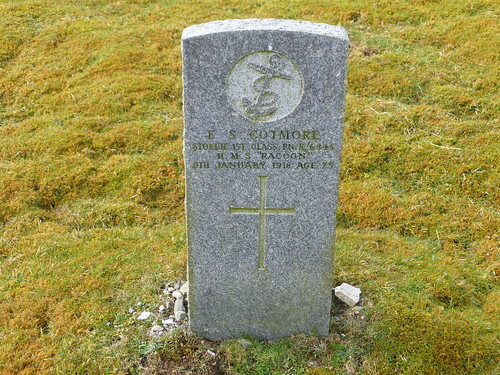 It lies a mile from the main A859 road (Stornoway to Tarbert), along a side-road off the road to Rhenigidale. 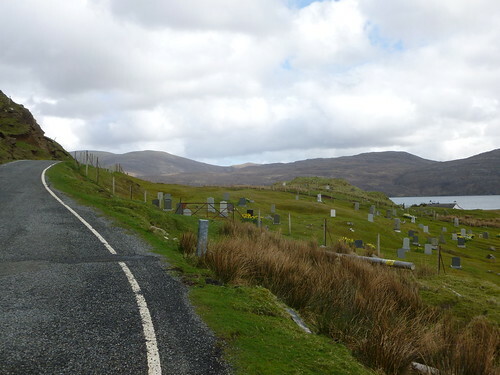 The cemetery is in the middle of the settlement, where the coastline veers away around a large headland. The old cemetery behind it does not contain any wargraves. 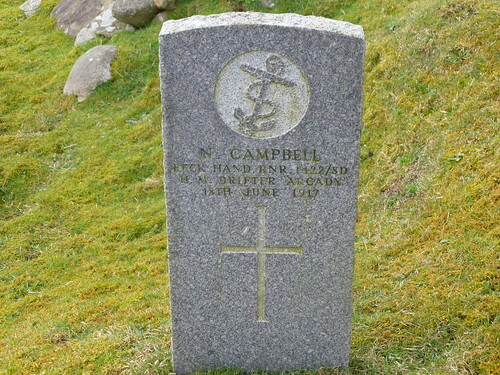 Son of John and Christy Campbell; husband of Marion Campbell, of Rhenigidale, Harris. Service unit: Royal Naval Reserve, H.M. Drifter "Arcady." Son of the late Mr. and Mrs. George Cotmore. Born at Peckham, London. Regiment/Service: Royal Navy, H.M.S. "Racoon." Wargrave and cemetery pics inserted 12 April 2012.